My Inside Voices: Who wants to hear from a middle-aged housewife anyway? Who wants to hear from a middle-aged housewife anyway? Typically, I laugh at people who at 20 or 25 or 30 say they feel old. First, I feel like it's an insult to legitimately old people (I think given that the average life expectancy in the U.S. is 78.2, that you're not legitimately old until you're in your 70s -- the rest is all state of mind. Also, another side note - did you know the life expectancy in Monaco is 89?!). Secondly, I think saying you feel old at 25 is somehow implying some sort of world weariness that most 20- and early-30-somethings I know haven't earned. I know. It's a blanket statement. At the same time, now that I'm 30, I feel like I'm hyper-aware of people who are younger than me who have managed to channel what world weariness they did have into artistic success. And by that I mean, they've been able to create work that people at various stages in life can relate to, despite their youth. Amazing artist and she has the bangs I've always wanted. Case in point, my current obsession Florence Welch of Florence + The Machine. At 25, she has two albums and has received multiple Grammy nominations. She has an epic voice and sings verses that have fantastic imagery and speak to my emotional/spiritual right brain. No matter how many times I listen to "Shake it Out" I get goosebumps. "And it's hard to dance with a devil on your back / So shake him off"
How is that not the perfect illustration of living with regret and shame? "There's a ghost in my lungs, And it sighs in my sleep, Wraps itself around my tongue, As it softly speaks. And it walks, and it walks, with my legs, To fall, to fall, to fall at your feet." Even she's only co-writing her music, her delivery takes the lyrics to another stratosphere. Pop music aside, there are also plenty of writers that I read about in the pages of Entertainment Weekly (Great book reviews!) who are younger than 30. 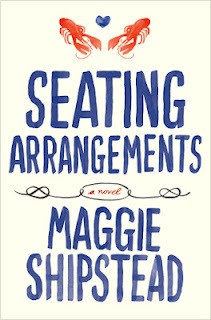 I just finished reading "Seating Arrangements" by Maggie Shipstead, which, despite all the diaper changing, cooking, cleaning, blogging, etc., took me less than a week. 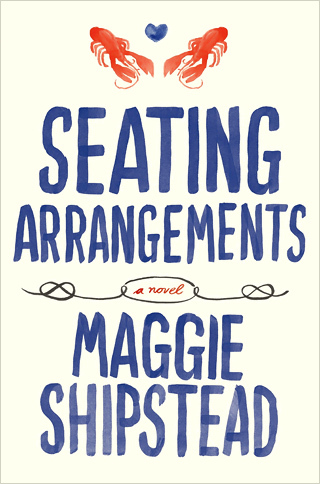 This not only speaks to Shipstead's funny, engrossing story; lovely writing; and smart observations about people and society -- but also young Jovie's extra clinginess the past two weeks necessitating much rocking and therefore allowing for much reading. But I digress, Shipstead's story about three days leading up to a family wedding could've easily been relegated to paperback beach read territory (which it's good for, too) but her writing places it on a level above. Oh yeah, and she's only 28 or so. I don't like to get sucked into youth obsession. While I sometimes miss the freedom of my 20s, I don't miss the uncertainty and the emotional highs and lows. At the same time, I worry that if I one day do finish my novel, nobody will consider reading it for publication because it wasn't written by a "fresh, young voice." Of course, I guess I can always just look to Harry Potter for reassurance.